Richmond Ramps' commercial ramp systems are available in aluminum, aluminum and wood, and concrete. 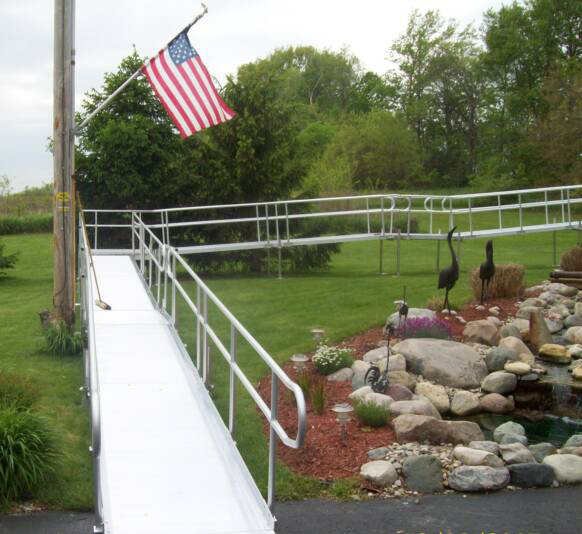 Our commercial ramps are used on businesses, churches, hospitals, and any other commercial building to provide handicap accessibility to employees or customers. Our ramps are always ADA compliant, which helps bring your business up to code with the Americans with Disabilities Act.